Saturn, as one of the slower moving planets in the zodiac, takes about 28 years to complete one revolution, and thus spends just over two years in each sign. 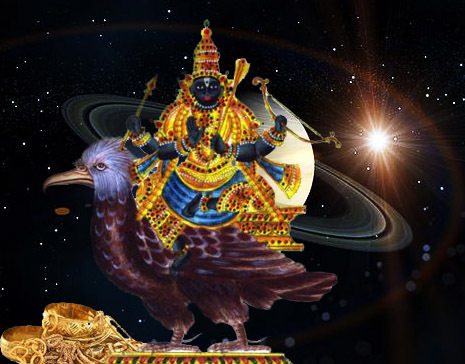 That is why it is understood amongst astrologers and others that you only really reach full maturity around 28 years of age, at the time of your “Saturn Return”, when Saturn has made one full circle of your horoscope and returned to the place it had at your birth. This year Saturn moved into Sagittarius in the tropical zodiac, and only about a month ago, after a few months retrograde back into Scorpio earlier this year, has it now fully embarked on its Sagittarian leg of the zodiac. In Sagittarius, Saturn symbolises a serious look at and approach to issues of the higher mind. The opposite sign in the zodiac wheel – namely Gemini – rules issues of the lower mind, like school, daily travel, communication and thought. But Sagittarius rules higher thinking, like university, law, religion and philosophy, all of which are indirectly related. It also rules anything that expands our horizons, like overseas travel, star gazing, media publishing, etc. So Saturn here will thus oblige us, each in our own way, to pay more serious attention to our higher issues of mind, our laws, philosophy of life, religious convictions, our morals, beliefs, foreign affairs. Certain references describe this placement as dealing with “leaders in higher education”, “working hard for education”, “scepticism over faith or belief”, “challenges over philosophical views”, particularly conservatives views. I therefore found it synchronous, with this in mind, that here at home in South Africa over this past month, vast swathes of the university population of students in the country, from every university nationwide, have embarked on one of its biggest protests, strikes, or uprisings in decades. #Feesmustfall has become a buzzword, meme or slogan ringing through the halls of learning, right up to the gates of parliament, as students go on strike, force campus shut-downs and stop examination schedules, all as a reaction to the announcement of a 10% fee hike next year. During the mid-term budget speech by the finance minister in parliament, unarmed students peacefully marched right up to the gates of that parliamentary building, chanting and protesting, eventually even storming the gates and entering the building, while parliament was in session. This resulted in tear gas, water cannon and dozens of arrests, some even – can you believe it- for high treason. Charges were fortunately dropped of course, but President, Jacob Zuma himself, had to eventually come forward and make a public statement that fees will not be raised after all, as a result of this nation wide protest. Now that in a nutshell is a perfect example of Saturn in Sagittarius inspiring a serious look at the conflict of values in higher education, the ethics of uplifting the mind to higher levels versus the costs involved, and who should bear those costs – poor individuals seeking qualifications to pull themselves out of poverty, or government socialist policy to uplift the disempowered poor. For it is education, as Nelson Mandela stressed, which is the key to uplifting the poor of this land who were so disempowered by criminal government policy for so many decades during the Apartheid era. And the protests have not ended there. 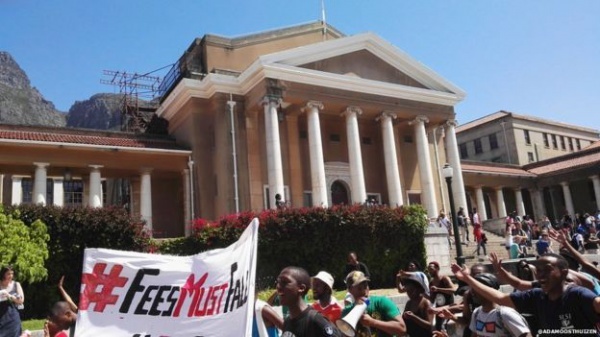 The moral philosophical and economic debate goes on as the students now continue their protests with the demand that fees must fall – fall to zero. In other words tertiary education must be free, that government must sponsor education for all, as it promised in the declaration of the New South Africa the day that Apartheid fell 21 years ago. This is what Cuba does – numerous tertiary education facilities all over the nation are free for all students to get their degrees and uplift themselves from externally induced poverty. As a result Cuba has one of the most prolific supplies of doctors in the world, exporting them to needy areas. It is a success story, based on socialist practices in a world where capitalism is failing, certainly failing the vast majority of poor and disenfranchised people on the ground, while the few at the top perpetuate their stronghold on the economy like aristocrats of old. So for the next few years, at least until December 2017, take a look at your personal life and see where you may need to seriously review or upgrade your once strongly held philosophical, moral political, legal or academic beliefs, so that you can function in line with today’s needed trends, even when incorporating your timeless ancient truths.